Are Cavalier King Charles Spaniels Aggressive? Home » Spaniels » Cavalier King Charles Spaniel » Are Cavalier King Charles Spaniels Aggressive? If you are wondering are Cavalier King Charles Spaniels Aggressive, then typically the Cavalier is not an aggressive Dog. Cavalier King Charles Spaniels were bred to be companion pets. And therefore enjoy nothing more than cuddling up on the lap of their owners. Whilst Cavaliers tend to be compassionate, loving family dogs, like any breed they can, in fact, develop aggressive behavior. It is for this reason that one should take extra care to look out for and put a stop to any signs of aggressive behavior as soon as possible. What could cause a Cavalier King Charles Spaniel to Become Aggressive? There’s really no one reason for a Cavalier King Charles Spaniel to become aggressive. There are actually many possible reasons your Cavalier could start exhibiting signs of aggressive behavior. One cause of aggression that needs to be looked at immediately is if it is caused by a medical issue. 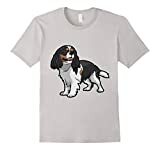 These could be a sign of (but are not limited to) Hypothyroidism, a genetic autoimmune disorder that greatly diminishes a Cavalier’s quality of life. Other medical issues that may cause aggression are hydrocephalus, tumors, and trauma. If your Cavalier displays see any of these symptoms, you need to get them to your trusted veterinarian as soon as possible. If it’s not a health issue than it could be a behavioral issue. Fear motivated aggression is very common. The fear can be a real threat or just your Cavalier King Charles Spaniel imagining it. No matter what the reason for the fear, the dog will respond with aggressive behavior in order to protect itself. Not only can Cavalier King Charles Spaniels become aggressive protecting themselves but also when protecting their pups or even you. This type of aggression extends even further into guarding territory. These causes of aggression are all reactions to some sort of threat real or imagined. Resource guarding is another cause of aggression. Most dogs will protect important resources. These resources include toys, food, treats, bed, and even less important things like trash. Some breeds have a predatory disposition and that can cause them to be aggressive. This isn’t a huge concern with King Charles Cavalier Spaniels since they were bred to be inside dogs. Frustration can play a huge role in your dog’s aggression. If a dog is forced to do something it doesn’t want to do or isn’t able to do something they will become very frustrated. They will take it out on whatever or whoever is closest to them. Some dogs can become aggressive as a response to pain. This could be an issue because the dogs don’t always attack what is causing their pain. They will attack whatever is closest to them. This could prove difficult if the owner uses a safe negative reinforcement. The correction may make the dog more aggressive. Your King Charles Cavalier may develop aggressive behavior when in social situations. Dogs are pack animals. When put in groups they will figure out where their place in the pack is. This struggle for power can cause your dog to get into a very aggressive state. The last cause of aggression is learned behavior. If your King Charles Cavalier Spaniel is aggressive for any of these reasons, especially fear-motivated aggression, it can and more than likely become a habit. Your King Charles Cavalier Spaniel will think that aggression is the best course of action to get what your dog wants. There are lots of solutions to stop aggression in dogs. Before you start correcting your King Charles Cavalier Spaniel, take them to a vet or a behavioral specialist. These are professionals and will be able to give you the most help in correcting your dog’s behavior. 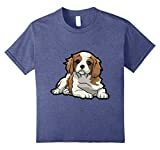 After consulting with the vet and behavioral specialist then you as an owner can choose the best path for you and your King Charles Cavalier Spaniel. That’s great! However, due to the unpredictable nature of animals, it’s always better to be safe than sorry. Keep an eye out for telltale signs, as stated earlier, Cavalier King Charles Spaniels are not aggressive by nature. They are companion dogs so aggression in your King Charles Cavalier is a big red flag and should be jumped on and corrected. Remember to reinforce positive behavior and put a stop to negative or aggressive behavior immediately. It’s also never advisable to leave a Dog unsupervised with small children or babies, regardless of how confident you are in their behavior. Remember, don’t get discouraged if your dog is acting aggressively and you are having difficulty dealing with them. With time and training, you and your Cavalier King Charles can get rid of any and all aggressive behavior, and if you are really struggling you can always turn to an expert for advice.